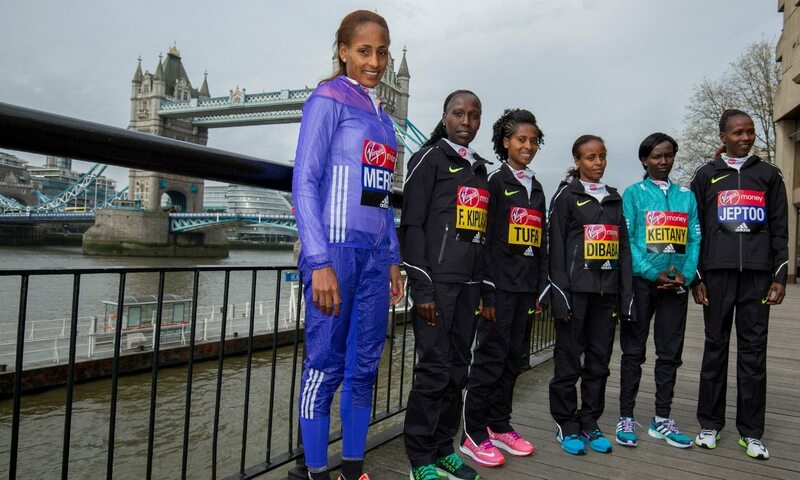 Aselefech Mergia says seeing her fellow Gemedu Dedefo-coached athlete Atsede Baysa win the Boston Marathon on Monday has given her confidence ahead of her own race over 26.2 miles at the Virgin Money London Marathon on Sunday (April 24). Mergia and Baysa form part of a strong group of Ethiopian athletes coached by Dedefo, with Boston runner-up Tirfi Tsegaye, Mumbai Marathon winner Shuko Genemo and Feyse Tadese, who also runs in London on Sunday, among his charges. Baysa claimed an impressive victory in Boston, overcoming a 37-second deficit at 22 miles to surge past the two athletes in front of her to secure the win, and Mergia, who says she watched the race on television, hopes she will also reap the rewards of months of hard training. “I have had good training for this competition, I have prepared long and hard,” she told Athletics Weekly, speaking through an interpreter. “I haven’t had any competitions since finishing second in New York (in November, behind Mary Keitany). 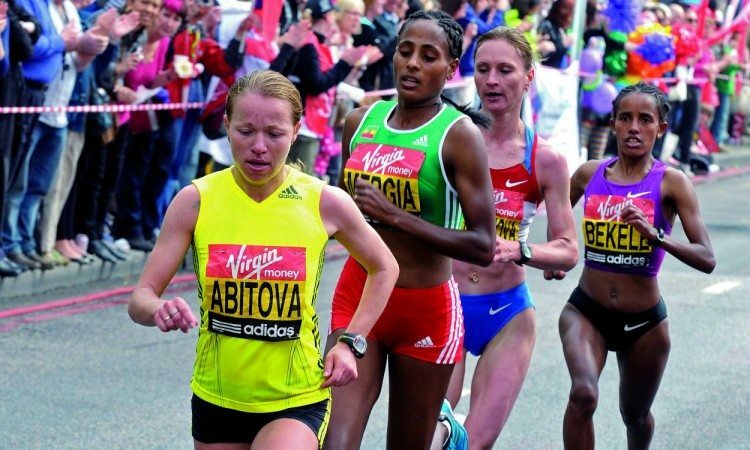 Mergia returns to run the London event this weekend for the first time as the 2010 champion, although she is yet to enjoy the experience of crossing the finishing line on The Mall first. The Ethiopian was denied any race day celebrations six years ago as she finished third behind Russian athletes Liliya Shobukhova and Inga Abitova. But she was later promoted to the runner-up spot when Abitova was handed a doping ban and Mergia then became the champion last year when Shobukhova was also suspended following abnormalities detected in her biological passport and some of her results – including her 2010 London win and three Chicago Marathon victories in 2009, 2010 and 2011 – were annulled. But rather than feel bitter that she was denied such a special moment, three-time Dubai Marathon winner Mergia says she is just glad that cheating athletes are being caught. “My general position on doping is that I am completely against doping. Doping should just not be part of the sport,” she said. “For me, sport is about working hard and the people who work hard, they deserve good results. That has always been my approach and that is still my approach. The 31-year-old faces a top field when she returns to run London after a fourth place finish last year, with Keitany, defending champion Tigist Tufa, world half-marathon record-holder Florence Kiplagat, world marathon champion Mare Dibaba and 2013 London winner Priscah Jeptoo among her rivals. “If God will help me then I would love to win London,” said Mergia, who is the second quickest in the field behind Keitany with her 2:19:31 PB. “It is a big competition, but I have trained hard, I have worked incredibly hard.